Rubber Roller manufacturing, exporting and supplying of Rubber Rollers for Tyre-Cord industries. 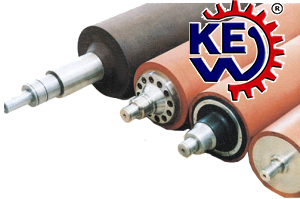 We are specialized and manufacturer of all types of high-quality Rubber Rollers. Rubber Roller available for all kind of applications and various types of Rubber Coated Rollers. Also, dealing on high-quality fabrication, Re-Covering Rubber Roller, Precision Rollers, Textile Rubber Roller, printing rubber roll and industrial Rubber Rollers. Also we Exporting and supplying various types of Rubber Rollers like, Rubber Rolls, Ebonite Roller, Guide Roller, Nip Roller, Pinch Roller, PU Roller, EPDM Roller, Neoprene Roller, Hypalon Rubber Roller, Silicone Roller, Wrinkle Removing Rolls, Bow Roll, Banana Roll, Metal Bow Expander Roll, Salt Expander, Scroll Roll, Grooved Roll, Stainless Steel Rollers, Calendar Roll, M.S. Roller, Aluminium Roller, Stainless Steel Roll, Printing Roller, Impression Roller, Brush Roller, Super Hard Rubber Roller, Metal Bow Roll. Rubber Rollers generally used and designed for various industry-specific use for, Pharmaceutical, Drugs-Medicine, FMCG-Food, Fabric, Leather, Jute, Sugar and many more. The performance of Rubber Expander (Bow Rollers) depends upon Lead in – lead out distance, Wrap angle, Position of bow (adjustable). 3: 1 lead in – lead out ratio is considered to be best. However, lead out distance preferably should not to be more than 3 times of Expander roller diameter. The best results are achieved when bow roller is perpendicular to the web direction.